Are you wondering if it’s time for a senior loved one to move to assisted living? These 7 warning signs may help you make the decision. 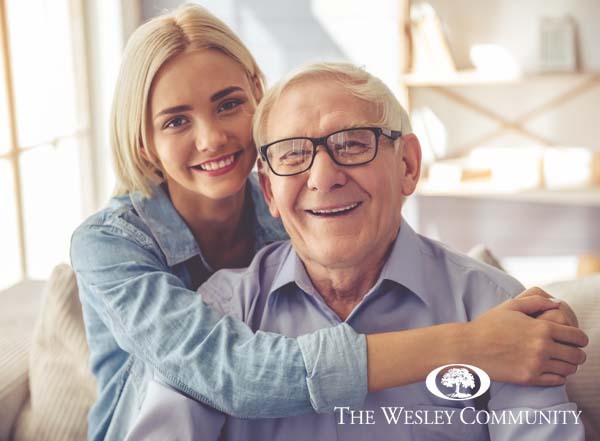 How do you know when it’s time for a senior loved one to move to an assisted living community? It’s a question many adult children have. Knowing when to put a family elder’s safety ahead of their desire to remain in their home can be challenging. If you are looking for objective signs it’s time for more assistance, here are a few to consider. Balance problems: We start with balance because of how serious it can be. Falls are the leading cause of fatal and nonfatal injuries for seniors. An older adult is treated in the emergency room for fall-related injuries every 11 seconds in this country. Every 19 minutes, a senior loses their life because of a fall. Poor balance and older homes can be a dangerous combination. If your older loved one is unsteady on their feet and isn’t improving through therapy or other interventions, it may be time to consider moving. Medication mistakes: Another leading reason seniors find themselves in an emergency room is medication errors. Because older adults often take multiple medications, the risk for mistakes is high. If you aren’t sure how well your loved one is managing their medication schedule, there is an easy way to check. Compare the pills in each bottle with the date and original number of pills. Too many or too few left can be signs of a problem. Poor nutrition: A poor diet can contribute to a variety of health issues from falls to diabetes. Older adults may be at risk if they have difficulty preparing healthy meals. Transportation to the grocery store and medical conditions that make chopping and slicing painful are two of many reasons. When you visit your family member, ask about their diet. Look for fast food bags in the trash and unhealthy convenience foods, such as frozen dinners, in the refrigerator. Change in hygiene: A change in personal appearance is often a sign that a senior is struggling with hygiene. If an always-tidy older loved one looks disheveled, for example, you might want to gently check in with them. Other indicators of trouble are body odors and wearing inappropriate clothing for the time of day or season. Money mismanagement: Mistakes with finances or falling victim to a financial scam are sometimes warning signs, as well. Are you noticing unopened bills on your loved one’s desk or counter? Has a utility been shut off for nonpayment? Are creditors calling about delinquent bills? Be aware of these warning signs when you visit your family member. Decline in home upkeep: Have you noticed a change in your family member’s house? Are small repairs being neglected? Is laundry piling up? Does the house look dirty or smell bad? Maintaining a home is a lot of work! The senior may not be able to keep up any longer. Withdrawal from social activities: If a senior in your family has started to withdraw from favorite pastimes or social groups, it can be a red flag for many issues. In some cases, memory loss might make it tough for them to carry on a conversation. Other seniors might be isolated because they’ve given up driving and don’t have access to transportation. If more than a few of these warning signs could describe your older loved one’s current situation, it might be time to talk with them about relocating to a more supportive environment. “How to Talk with a Parent About Senior Care Options” has some tips for helping you start the conversation. For families in the Saratoga Springs area, you can also call us at (518) 587-3600 with any questions about senior care.